Iran is able to resolve problems, Iranian first vice president Eshaq Jahangiri said on Monday. 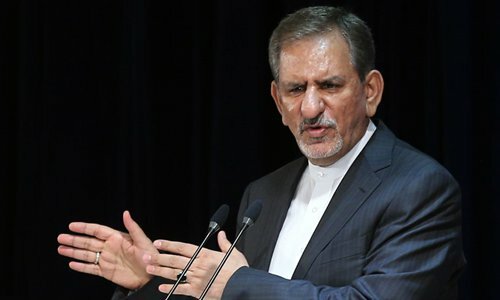 In spite of all the US plots, Iran will export its oil and will transfer its money inside the country, Jahangiri noted. He said that the government is able to supply people's basic commodities and medicine. The US withdrawal from the Iranian nuclear deal, also known as the Joint Comprehensive Plan of Action (JCPOA) discredited it in the world, Jahangiri added.